Review: Cheeza 51% Smoked Cheese | Oyatsu Break! Oh Glico, you break my heart. 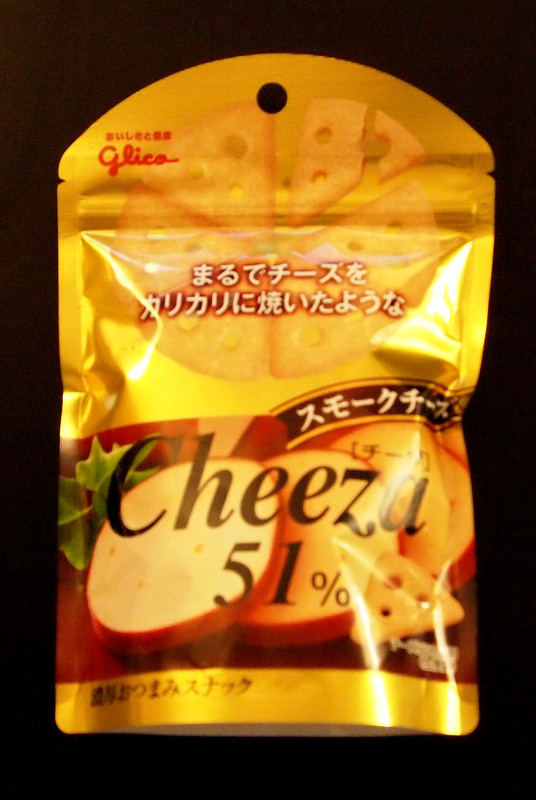 I was just about to write the introduction to this review with a dramatic “And now, THE FINAL FLAVOR of Cheeza, Cheeza 51% SMOKED CHEESE!” but I headed over to the official Cheeza Website, http://www.glico.co.jp/cheeza/index.htm, and they’ve added a fourth flavour. It’s not even on the front page, it’s hidden at the very end of the new Cheeza television commercial. 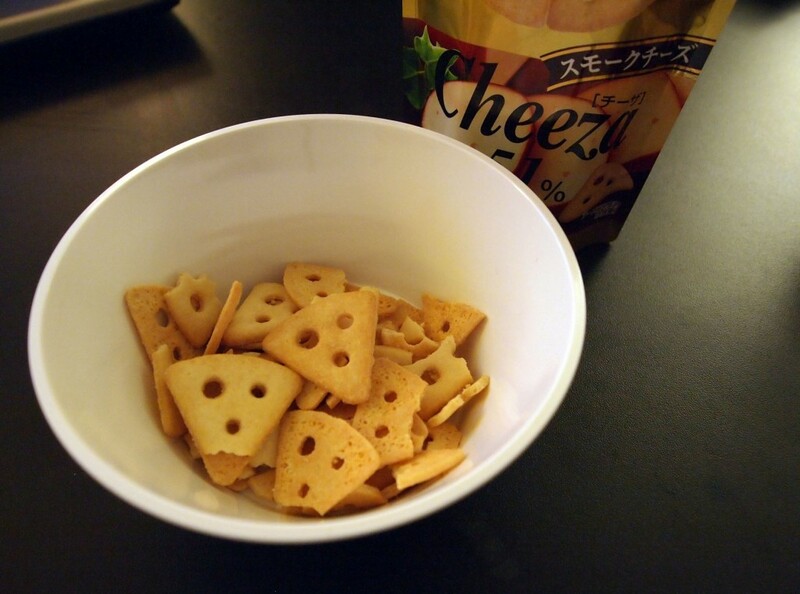 It appears to be some sort of 4 cheese blend… and now my day is ruined. Packaging: Like the other Cheeza packages, this is pretty much perfect. Big images, resealable package, a foil treatment to make it pop on the racks, they’re doing everything right. Possibly the only problem with this one, and it might be a product issue rather than a packaging issue, is that this product is seemingly only identified as “Smoked Cheese,” rather than saying exactly what sort of smoked cheese it is. I assume it’s a gouda or cheddar, but it’s a bit weird. Actually it’s not that ‘weird’ in the grand scheme, I mean north American food gets away with being ‘cheese’ flavoured (or ‘cheez’ flavoured…) all the time. It’s only because of the quality and specificity of these crackers that I’m even surprised… I’d say that’s a point in their favour… sort of. Smell: HOLY CRAP. That is a smokey cheese smell. That’s… wow. That is such an authentic,” I’ve got my nose buried in a freshly-unwrapped double-smoked gouda.” That is the most. The most. Wow. I can’t even tell if that’s good it’s so intense. 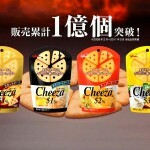 I guess if you like smoked cheese, this is the greatest product ever made that isn’t actually smoked cheese. Taste: It tastes even stronger than it smells, if that’s possible? Wow. This is… this is not going to be for everyone. Andrew actually doesn’t like it, and he could eat cheese and crackers every day forever. He even likes smoked cheese. But he can’t deal. Which is fine, it left more for me and once I got past the initial shock of smokey cheese, I really dug it. 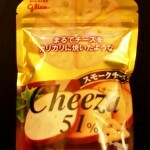 The cheese flavour builds up nicely, and while it’s still smokey and shockingly intense, I finished the bag didn’t I? Verdict: Well I finished the bag, didn’t I? Seriously though, this is just as good and intense as the Camembert, just as flavourful and intense. 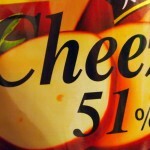 The only thing is that intense smokey gouda doesn’t quite go with as many beverages as say, a delicious sharp cheese. In fact I can’t really think of anything it might go with except like…. Red wine? Exceptionally weak beer? Who can say. But getting to the end of the bag I loved it, but it kinda put me off my Chu-Hi. Weak beer next time… and there could be a next time (though this is my least favourite of all three flavours… I mean four flavours… of Cheeza crackers). 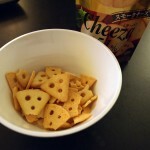 I’m a Cheeza lover from Hongkong and read your reviews about this wonder snacks. Thanks for sharing. 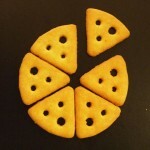 I think this is the best-ever cheese cracker human made. 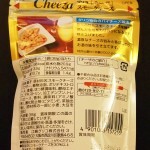 However, I think the best of it…has gone already..
It’s called Cheeza Gorgonzola. It’s made with blue-cheese and it’s stunning my nerves when I first tried it. 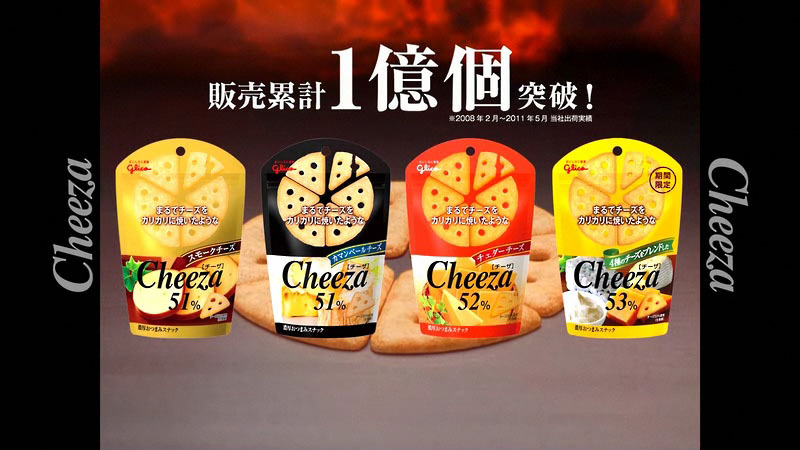 I found the page is still on Glico site but hidden and no longer on the current product line up….so it probably stopped production already..sad..
Pingback: » Review: Cheeza 50% Camembert Basil Oyatsu Break!